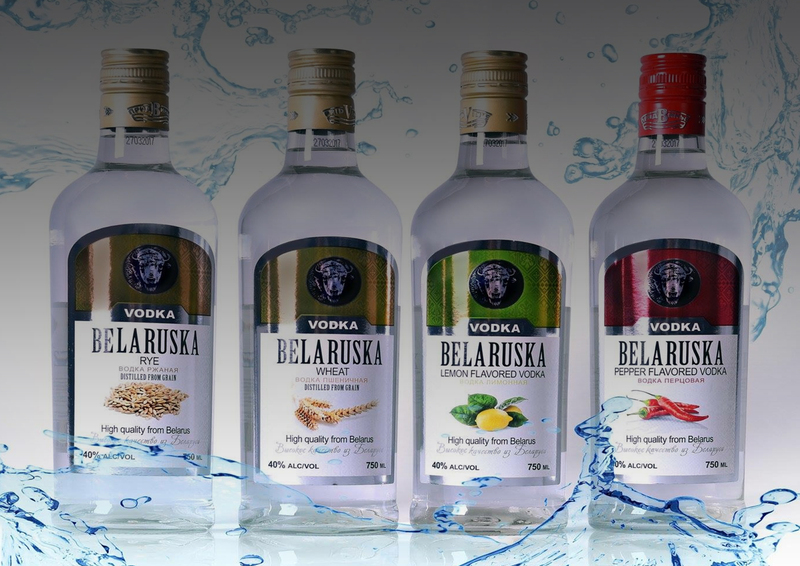 Vodka Belaruska is a pure , delicate, soft, noble alcoholic drink that invigorates all senses. Alcoholic beverages factory “Pridvin’e” started its activity in 1898 and manufactured the only product – vodka 40% alc. The factory stood at the origins of the creation of food industry in Belarus. 119 years have passed, yet the company's sophistication, professionalism, and complexity have not changed in the production/manufacturing of alcoholic beverages. In 2005 the factory introduced and certified "Quality System" - The management of quality and safety of food production, based on the analysis of risks and critical control points. We implement and maintain the highest standards of production. We care about the origin of the ingredients used and offer high quality products. 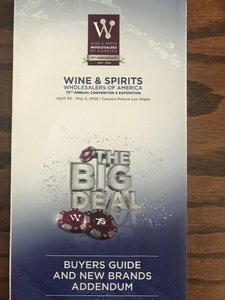 We are experts in the alcohol industry. Our skills and knowledge we use to effectively create, promote and sell our products. The plant is proud of an efficient distribution system, thanks to which the products are through Belarus, Russia, Europe, United States, Middle East, and Australia. Equaling 37 countries around the world. The strategic direction of our activity is the production and distribution of alcoholic beverages. The company has its own distribution system, and a diversified portfolio of brands in all price segments. We view the company as our common responsibility. We are looking for solutions that improve its performance. We act swiftly and decisively. We are determined to fulfill our promises regarding consumers, partners, shareholders and employees. 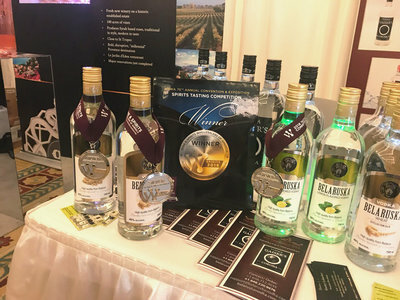 BELARUSKA LEMON (40%Alc.By Vol) is a new sight at old traditions of filtration sorts of grain “Elite”, fresh lemon peels with combination of high-quality alcohol “LUX”, soft water and lemon aroma. Tincture on lemon and vodka is used not only as a drink for feasts. This product has useful properties that allow it to be used for the treatment and prevention of many diseases. drink is used in diets for obesity. Lemon vodka should not be taken before bedtime, as it invigorates, and the process of falling asleep can become more complicated. Contraindicated to drink tincture for allergies to alcohol and citrus, for any diseases of the digestive system. 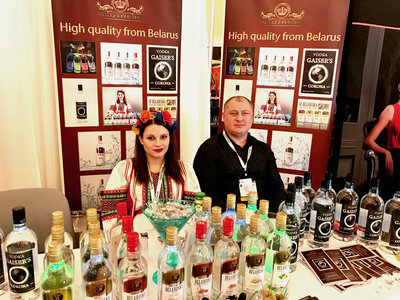 BELARUSKA PEPPER (40%Alc.By Vol) is produced according to the original technology using sorts of grain “ELITE”, natural hot peppers with combination of high-quality alcohol “LUX” and soft water. Tincture on red pepper with the addition of our vodka helps with coughing, colds, scurvy and lung inflammations. With gastric ulcer and other gastrointestinal diseases, a gastric tincture with vodka is made. Vodka tincture with birch leaves is used as a healing, anti-catarrhal, analgesic and disinfectant. Pepper has antiseptic properties and is excellent for preventing colds. Also tincture well tones up, gives strength and in moderate doses stimulates brain work. 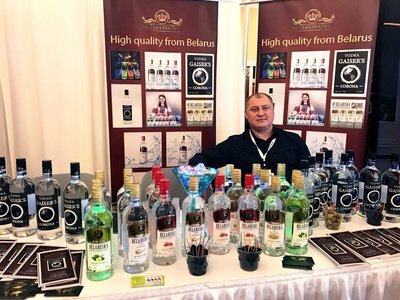 Vodka “BELARUSKA RYE” (40%Alc.By Vol) is successful combination of tendencies in classic design and original technology of platinum filtration. Use rye vodka Belaruska useful for various diseases. For example, in the manufacture of medicines directed to the external influence. Due to the antiseptic property, rye vodka is often added to herbal medicinal herbs, and also uses it when applying compress. 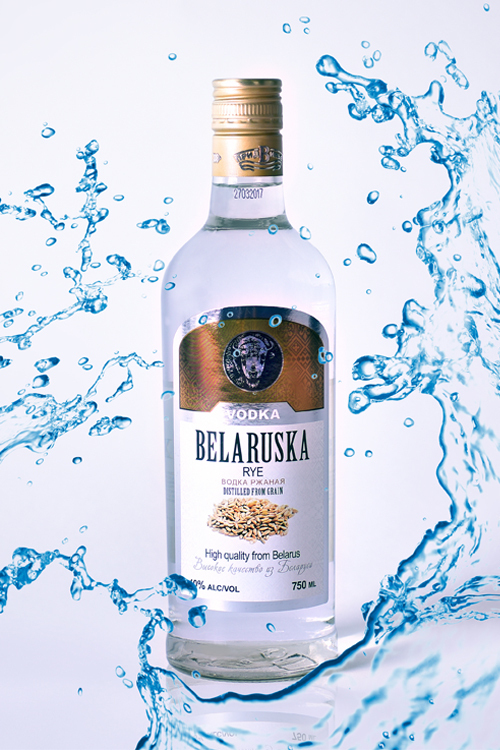 The use of RYE Belaruska vodka in small amounts is useful. But for this you need to strictly observe the dose - no more than 30 ml of drink per day. It is not necessary to drink vodka daily. Even with rare use, the risk of developing angina pectoris, arthritis, oncology and a common cold is reduced. The possibility of ischemic heart disease decreases, atherosclerotic plaques begin to appear and grow slower. Also, a small dose of RYE Belaruska vodka helps to normalize sleep and the immune system, improve appetite, relieve headache, bring back to normal pressure and get rid of coughs that are manifested in attacks (usually they happen with tracheitis and bronchitis). 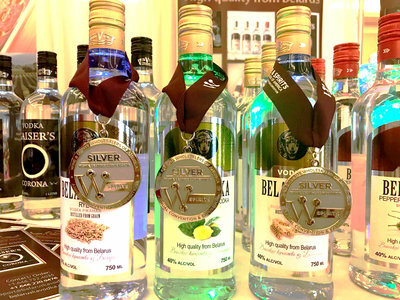 Vodka “BELARUSKA WHEAT” (40%Alc.By Vol) transparent; with the usage of high-quality natural raw materials “LUX” provides the achievement of new sensations from a seemingly well-known product. To make the tincture, you need to take 200 grams of ripe red currant berries, which should be taken from the twigs and, after drying them after washing, gently pour into a clean jar. Over the berries should be poured half a cup of granulated sugar. You can squeeze the berries a little, so they let the juice. After that, a half liter of wheat vodka should be poured into the jar, and, after covering the jar with a lid, shake well. Then remove the jar in the dark, cool place of the week at 2. During this time it is desirable to periodically get out and shake, helping the sugar to dissolve in the liquid. After 14 days, tincture is filtered through several layers of gauze and poured into a suitable container so that the distance from the surface of the liquid to the lid is minimal. For any alcohol-containing liquids, long-term contact with oxygen is undesirable. Store this tincture in a cool place inaccessible to sunlight, and serve it on the table preferably in a decanter, slightly chilled. For the treatment and prevention of colds and flu, the ginger root infused with vodka is excellent. Such a tincture is prepared as simply as a currant, the only difference is that the ginger root needs to be cleaned first, and then chopped into small pieces. If you do not want to bother with a knife, it is perfectly permissible to skip the root through a meat grinder. Then it is transferred to a clean jar and poured with vodka at the rate of 0.5 liters per 15 g of root. There also add a little honey, as ginger itself is rather bitter, although fragrant. The bank is removed to a cool dark place for a couple of weeks, after which the tincture is filtered and allowed to stand for a couple of more days. When this period passes, it can already be used for its intended purpose. Keep this tincture can be quite long, if you keep it in a cool place without access to the sun. But it should only be used by people who do not have a stomach ulcer or too much pressure, because it can adversely affect such situations. Belaruska is the spirit of Belarus. We define our land and its premium ingredients. We admire our efforts in innovation. 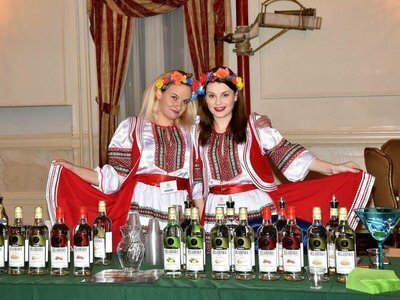 The creation of Belaruska is a symbol of purity and skill recognized all over the world. Watering the mouth, with a smooth and very well balanced, long aftertaste - excellent with ice or with soda and lime. Vodka Belaruska was very proud to received silver medals at the annual convention and exposition of wine and spirits biggest wholesalers alcohol show which took place In May 1-3 ,2018 at Caesar’s Palace, Las Vegas,USA. 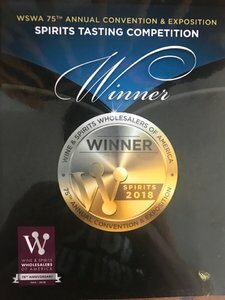 We deserved that , our vodka has high quality and very smooth taste! plus How do you receive the goods from the supplier? plus How to register cases of writing off alcohol, because of the use of tasting, presentations, etc.? plus If the distributor has a retail network for the sale of alcohol, what can he confirm when taking alcohol at retail? plus Will the cashier check the legality of alcohol when selling? The supplier creates a sales invoice for the buyer in the accounting system and sends it to the system. The supplier shall provide the number and date of the invoice by phone or send this information by email. mail. The retail store, when actually accepting the goods, compares the fact with the document that came from the system. The sales invoice can be fully confirmed, rejected or compiled a discrepancy statement. In the wholesale there will be a document of the write-off, where it will be necessary to select the type of write-off and read the excise duty of the scanner. Depending on the case, you can choose the type of write-off, for example advertising, theft, etc.